Dental crowns are a common dental procedure used to treat damaged or broken teeth. They are fitted over your natural teeth and are barely noticeable. Bridges are essentially 3 crowns that are fused together and used in circumstances where there is a gap in between your teeth where there is a missing tooth. A crown is essentially a hollow tooth that sits over your existing tooth, fitting over it like a glove and looking just like a natural tooth. They are generally made from porcelain, metal or gold materials depending on the case. Once your dentist has fitted you for a crown, it will look, feel, and work just like a normal tooth, so you will quickly forget that it’s there. Crowns are put in place for a number of reasons. Generally, a crown is used when the tooth is damaged in some way, but can still be saved. 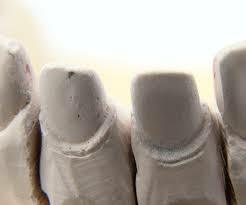 The crown will be placed over this tooth to make it fully functional, and to give it a more natural appearance. Common reasons for requiring a crown include having a large filling or root canal and needing this cap to protect the tooth, or having a broken tooth that’s otherwise still healthy. You may also receive a crown on a tooth that is too discoloured. We will talk you through the options for crowns, as there are several. For example, gold crowns are extremely durable but do not look natural, so are often used on back teeth where there are more biting forces. However, porcelain crowns look the most natural but are less durable, so are commonly used on front teeth that you can see. A bridge is a type of crown used in situations when you have a gap in between your teeth where there is a missing tooth or missing teeth. Usually 2 teeth are used as anchors for the bridge to replace the missing tooth. What’s involved in having a crown or bridge? The procedure for having a crown attached usually takes two visits. 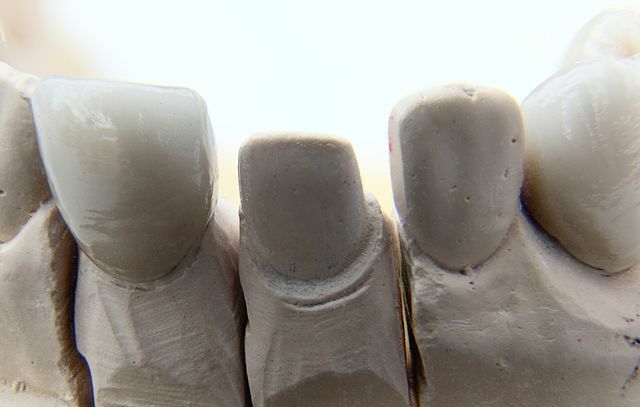 During the first visit, we will file your natural tooth down, then take a mould of it. We will fit a temporary crown on the tooth until the second appointment. During your second visit, the dental professional will remove the temporary crown and replace it with a permanent one that has been custom-made for your tooth. The crown will be attached with a special adhesive and we will check to make sure that it feels good before you leave. How do you look after a crown? 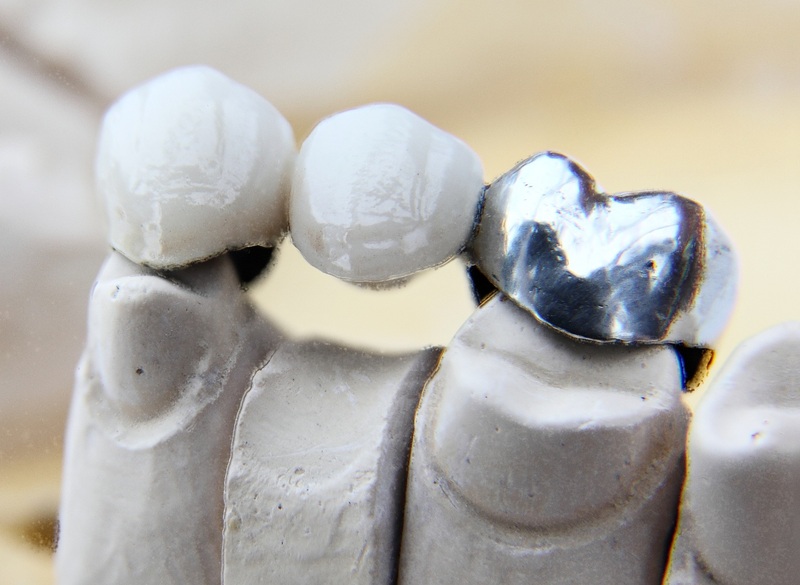 Once a crown or bridge is attached to your natural tooth, you will need to look after it as best you can to ensure it lasts as long as possible. A crown may not be as strong as your natural teeth, so it’s important to avoid using it to bite down on hard items – this is especially true if you have a porcelain crown. Otherwise, you will clean your crown in the same way you would your normal teeth. This means brushing carefully twice per day, and flossing around the crown and under the bridge to remove any food debris. You will also need to maintain regular dental visits, during which we will cast an expert eye over the crown to ensure it’s still in good condition. With proper care, a crown can last for a lifetime.